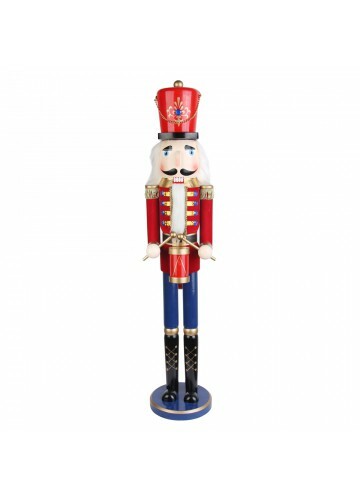 The Red Drummer Soldier Nutcracker stands 36 inches tall. 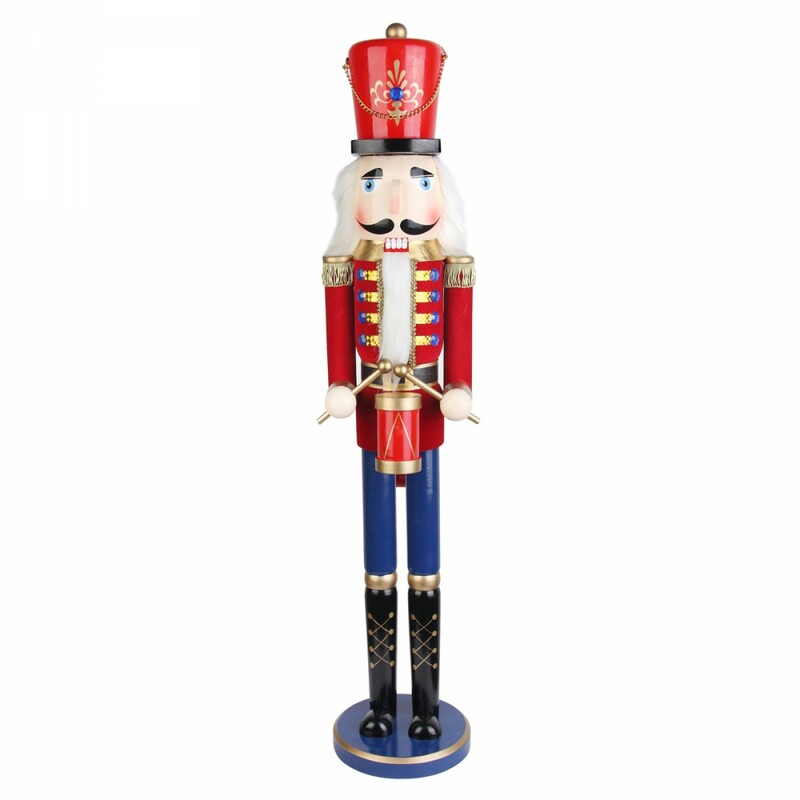 With drumsticks in his hands and a drum slung, he is ready for the parade. He is painted in vibrant long lasting colors. Hand-painted and carved.